I have lived in Kuala Lumpur for over 4 years now but have been rather timid about exploring shopping centres that are beyond a 1 mile radius from where I live. I actually am an adventurous sort but if you have any idea about the traffic situation here, you'll understand my reluctance. Well, I broke through my reticence recently and went to a mall about 2 miles away (hehe...so pathetic) because I was told of a discount bookstore there. As books in Malaysia are rather pricey in general, this was information that had to be investigated. True enough, the bookstore stood where my source said it would, and even truer was the prices marked. Many were under RM 20 (about USD 5.70) and ALL new, not second hand! Despite having to chase the toddler around the store, I managed to make quite a haul. Several board books for Nikhita, a couple of books on stencilling (complete with punch out templates), a few novels, and a book on smocking. The book was printed 10 years ago. So maybe the title needs revising. I don't know why I even picked the book from the shelf. The one and only time I tried smocking was some 24 years ago, when I was 14 years old, for a Home-ec class. We had to smock the front bodice of a blouse we had to also make, out of gingham cotton to make it easier for us thick-fingered, impatient teenagers to work such small stitches. I can't remember how I did, but I'm pretty sure the grade was not good. - clearly illustrated techniques and lots of colour pictures. - illustrated glossary of how-to-make-the-stitches, very useful for newbies like me. -18 step-by-step projects ranging from home dec, children's items, accessories. - needs more truly contemporary projects, in my opinion. Overall, I'm glad I bought it, and not only because it was kind on my pocket. 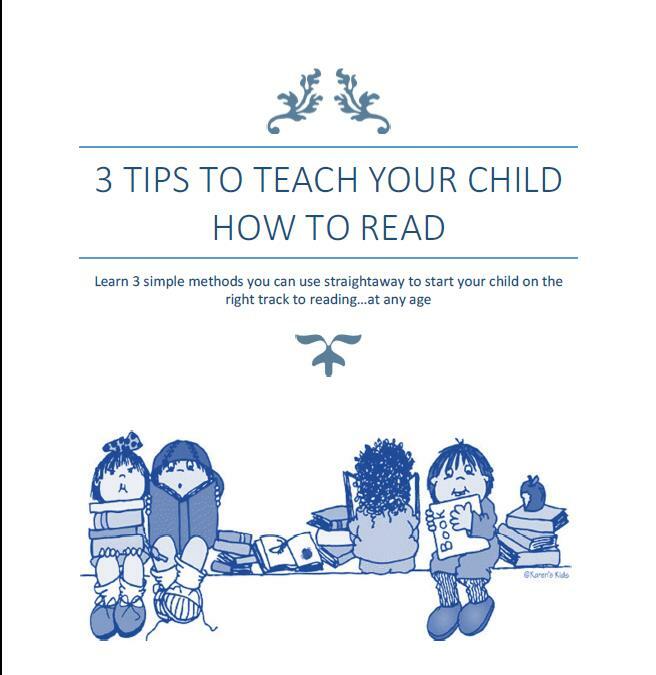 It is a good beginner's book. If I were to rate it, I would give it 3.5 out of 5 'measuring tapes'. I would have gotton more issues of the 'Stitches' mag but I wanted to see how useful it was before I decide to go crazy on buying all. It turned out each of the three had something of use to me, so they were well worth the $. Quilting and Embroidery- has a pattern in there that has inspired me to try my hand at a quilt. 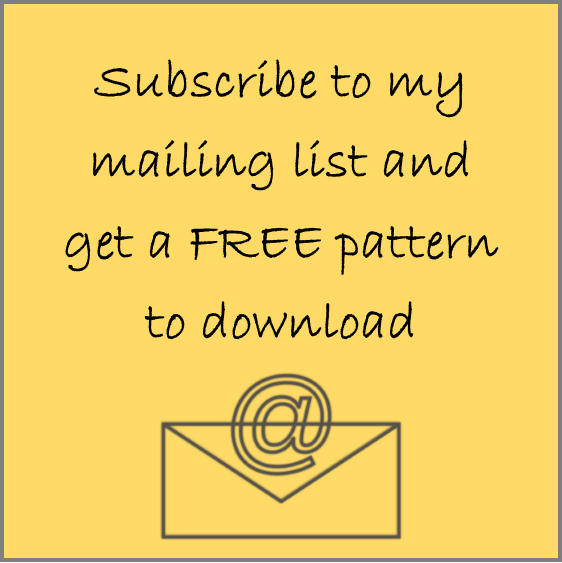 Stitches - has a review of the Lutterloh system of pattern-making, a method I have been coincidentally researching just a few days prior....talk about fortuity! 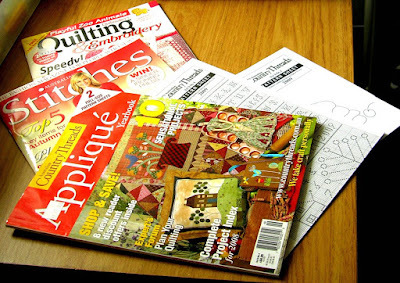 Applique - has 2 full-sized pattern sheets for every single pattern used in the mag! So again, money well spent. That mall is fast becoming my favouritest place in KL. Don't you just love it when you stumble upon great finds such as books and fabric? Very cool, your treasures! Yes, I love discovering shops, too. And I am sorely missing Textile Centre right now because I want cheap and bulk supplies. I covet that smocking book, I do. Do they have any more copies at the shop? And when I read that post at UKlass, I also had sudden and vivid memories of my own orange gingham home-ec blouse with brown (ugh, ugh) smocking - I was so lazy even then that I bought the extra-large squares and got told off by the teacher. Yes, my grade was very bad, too, not surprisingly. I think there was more than 1 copy but you can get it on amazon for 5.99 (2000 version). You even get a small preview. I wish I had been taught some sewing at school. I keep meaning to read a book or two and find out if I'm doing this stuff the right way, but I'm far too lazy. Plus books here cost a fortune.